Chicken Pot Pie has always been one of my favorite meals. It truly is comfort food to me. I requested it several years in a row for my birthday dinner. I love vegetables, and always have. And I think I just loved the fact that this was a pie stuffed full of veggies instead of fruit (which is not my favorite). 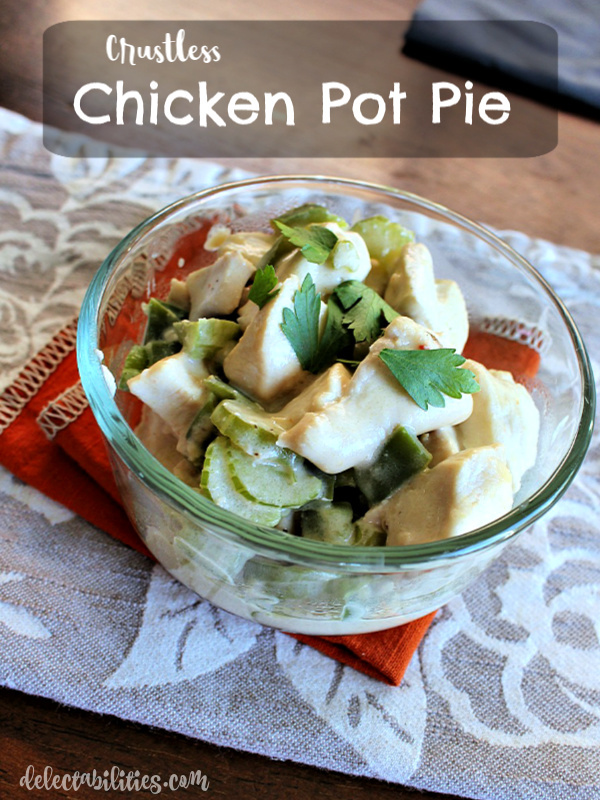 So when I saw this recipe for Crustless Chicken Pot Pie – a healthy and 5&1 compliant recipe for my favorite – I knew that I would have to try it. The one thing that I did not expect is that my family would love it to. I will admit it that I made a backup meal in preparation for the the complaints. But everyone liked it. So, this recipe is pretty simple and also comes together rather quickly. It is definitely a great fast weeknight meal. 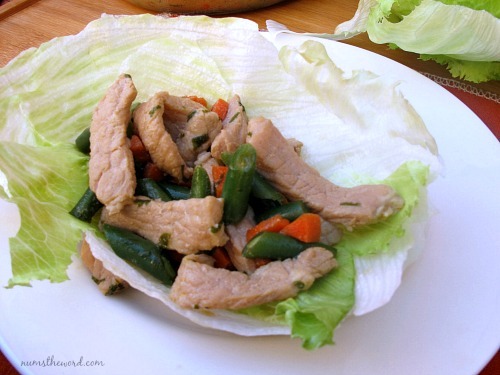 This recipe is 2 servings, but would be very easy to double or more! I started with chicken breasts cut into bite-sized pieces. Then to add some flavor, cook the chicken in a few tablespoons of lite Italian dressing. The garlic, celery and green pepper is softened in chicken broth and then add the chicken back in along with the cheese and stir until it’s all melted and heated through. And delicious. Feel free to place each serving in a small ramekin to give it that true crustless chicken pot pie feel. Each serving is 1 leaner, 1 green, 1 healthy fat and 3 condiments. Add 2 more green servings (like cooked broccoli) for a complete Lean and Green. Cook chicken in Italian dressing in a skillet over medium heat until no longer pink. Remove chicken from skillet and set aside. Add chicken broth, garlic and vegetables to the skillet. Cook over medium-high heat until vegetables are tender. Season with salt and pepper. Return chicken to skillet and add both types of cheese. Cook and stir until melted and heated through. A fast and easy meal with all the flavors of an enchilada. 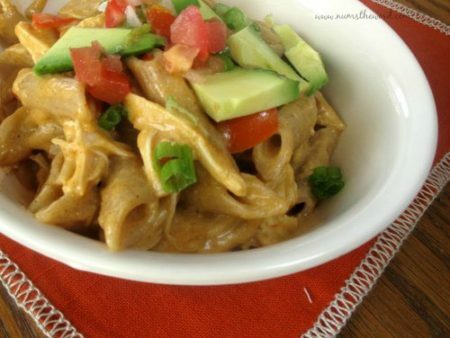 This is amazing topped with slices of avocado, fresh tomato or green onions. A delicious and flavorful soup that is just perfect for a fall. Warm, creamy and full of flavor! Try it for a week night dinner and you won’t be disappointed. 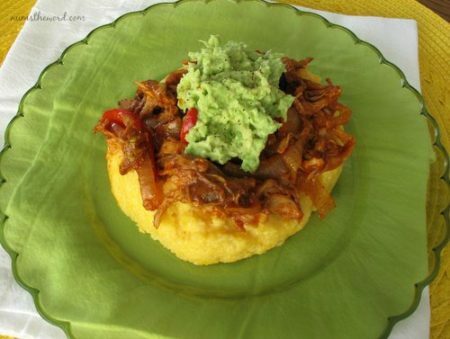 All the wonderful flavors of a tamale in bowl form – this spicy chicken dish over cheesy polenta will satisfy any craving for Mexican food you might be having!